2008 deluxe two CD expanded edition of the UK trio's best-selling album featuring six bonus remixes on the first disc plus a bonus CD featuring an additional 10 bonus tracks. This deluxe release of the 1984 album presents all the remixes from the original cassette edition of the album as well as the extended mixes and the non-album B-sides, the majority of which appear on CD for the first time. 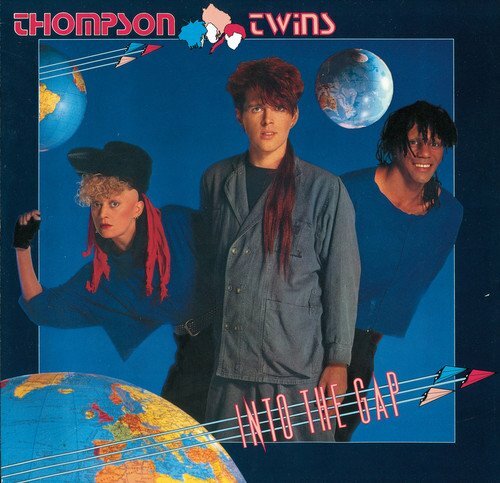 After the huge success of their Quick Step & Side Kick album, the Thompson Twins reconvened with producer Alex Sadkin at Compass Point Studios in Nassau and recorded Into the Gap, which went straight into the album charts at # 1 in February 1984. It also reached # 10 in the US and charted throughout Europe. Features the hit singles 'Hold Me Now', 'Doctor! Doctor! ', 'You Take Me Up' and 'Sisters of Mercy'. Edsel. If you have any questions about this product by Edsel, contact us by completing and submitting the form below. If you are looking for a specif part number, please include it with your message.